What is the Best 30 Dollar a Month Phone Plan? What is the Best 30 Dollar a Month Cell Phone Plan? Here are the options I am comparing to award the title of Best 30 Dollar a Month Cell Phone Plan Verizon Wireless prepay, Tracfone, Straight Talk, Net10, and T-mobile Prepaid. First off if you only talk to other Verizon Wireless users you could pay just 99 cents a day for service. The 99 cents a day Core plan from Verizon gives you unlimited calling to other Verizon Wireless phones. If you call or receive calls from any non Verizon Wireless phone you will pay ten cents a minute. You will be charged 99 cents as soon as you use the phone on the day. The day in Verizon terms goes from 12 midnight to 12 midnight. If you first make a call for the day at five minutes to midnight and the call goes over to the next day you will pay the 99 cent fee for both days. I think that midnight is figured on the local time on your phone. If you purchase a $30 Tracfone card you will get 120 minutes. If you have DMFL on your phone you will get 240 minutes. 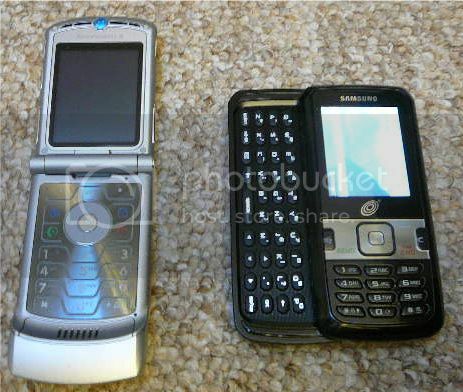 If you use your Tracfone for texting most phones charge .3 units per text to send and to receive. I do not recommend adding minutes to a Tracfone that does not have DMFL on it. Check out Tracfone DMFL here. The Tracfone $80 card will give you 900 minutes with DMFL which is 8.9 cents a minute. The best Tracfone deal is the $200 1500 minute card which will give you 3,000 minute with DMFL. This is 6.6 cents a minute and the card gives you 12 months of service time. If you figured this as 7 months of service at $30 a month this is a good value. If you spend $30 a month on a Net10 phone card you will get 300 minutes. Most Net10 phones charge you .5 units per text. The new Samsung R451c charges .3 per text. Net 10 is not the Best 30 Dollar a Month Phone Plan. They do have a good plan if you only want to spen $15 a month. Straight Talk is a new company that is a joint venture between Verizon Wireless, Tracfone and Walmart. The Straight Talk $30 a month plan gives you 1,000 minutes, 1,000 texts and 30 meg of data transfer per month. Straight Talk also has a $45 per month Unlimited minutes, texts, data plan. T-Mobile prepaid does not have a $30 card but they do have a $25 card. The $25 card will give you 130 minutes which is 19.25 cents a minute. If you spend $50 you will get 400 minutes which is 12.5 cents a minute. If you purchase a $100 card you will get 10 cent minutes and you will stay active for a full year if you do not run out of minutes. I give Straight Talk an unconditional number one Rank as the best $30 a month phone plan. This plan is better than a lot of Postpaid $45 a month plans. You cannot beat 1000 minutes, 1000 texts and 30 meg of downloading for $30 a month. I would probably go with the $200 3,000 minute yearly card for myself and try to stretch it to over a year if I could. I also like the simplicity of the $30 Net10 phone card and ten cents a minute. The 6.6 cents a minute with Tracfone would entice me to use the $200 plan. You would be able to average 430+ minutes per month over seven months with the $200 Tracfone plan. You could use 600 minutes one month and 260 the next and still average 430 per month. Prepaid vs PostPaid. The reason I am not comparing Postpaid cell phone accounts is because they pretty much all start at $40 a month. Straight Talk Samsung R451C Review. The New Straight Talk Samsung R451C from Walmart, Verizon and Tracfone is a Hit. Straight Talk Prepaid Wireless Review. Straight Talk Prepaid Wireless Review. How does the New Straight Talk Prepaid Wireless Plan work and how does it compare to my Contract Plan? Straight Talk FAQs about the Best 30 Dollar a Month Phone Plan. Most of the Straight Talk Frequently Asked Questions answered here! Straight Talk FAQs. Straight Talk Pricing. Straight Talk Pricing How does the Straight Talk $45 per month Unlimited plan compare to the $30 All You Need Plan? Review Tracfone vs Net10 vs Straight Talk. Compare Tracfone vs Net10 vs Straight Talk. What are the benefits and Negatives of Tracfone vs Net10 vs Straight Talk? Straight Talk LG 200c Review.Straight Talk LG 200c Review. How well does the basic Lg 200g work as a cell phone. What are the advantages and what are the disadvantages to the Lg 200c. Compare Straight Talk vs Tracfone Wireless. Compare Straight Talk vs Tracfone Wireles Pay as you go Cell phones. When is Tracfone a better deal than Straight Talk? Straight Talk Unlimited. Straight Talk Unlimited The latest Nationwide Prepaid Plan from Walmart, Verizon and Tracfone $45 per month! What is the Best 30 Dollar a Month Phone Plan? The New Straight Talk All You Need Phone Plan. How does The New Straight Talk All You Need Phone Plan work? Best Prepaid Yearly Cell Plan. Best Prepaid Yearly Cell Plan. Who has the best Prepaid Yearly Cell Phone plan? This Comparison will help you get the Best Yearly Plan for how You use Your Phone. Walmart Straight Talk Cell Plans. Walmart Straight Talk is the newest prepaid cell phone provider. How do their prepay plans work?